A friend of mine asked for an easy way to create an image grid of a specific dimension with four images. Two in each row. The method shown here can be slightly varied to accommodate other image grid sizes or individual image sizes easily. I had to create six image grids from four image files each. So totally i had 24 images split into different folders, each folder corresponding to images needed for a particular image grid. Since this was a repeated task, and it could be done using just the terminal with Image Magick. I love Image Magick. I created a script file with the following code. The first line is just letting the computer know that you are using bash script.This script has to be executed from the same folder as these images, else it wouldn’t work. Lines two to five convert individual images named a, ,b, c and d to their edited images of uniform size, a_e, b_e, c_e and d_e respectively. We use the convert command for this. It is part of the Image Magick package. Did i tell you how much I love image magick?. The resize parameter resizes the images. 246×246 specifies that the image size should be 246 pixels wide and 246 pixels high. The exclamation mark(!) ignores aspect ratio. Since all the images i had were almost square i did not have to bother about the aspect ratio. It is required that all the images be the size when you create an image grid, else the results would not be favorable. But you will get results though. Now it is time to make our collage from these four images. We use the montage command for this. Also from the Image Magick package. In the montage command, first you specify the list of images you want to use. The geometry parameter is used to specify the size of each image and the number of rows and columns in the image grid. Then finally the name of the output file. 246×246 shows the width and height of the individual images, +2+2 shows the rows and columns of the image grid respectively. With this script, I was done creating those image grids in less than five minutes. Took five minutes to google it though. 🙂 I did not know about montage before this post. You can read about resizing and montage using their links in this post. In case you have special needs. The final result using duplicates of a sample image as my a, b, c, d files is this. Usually its really easy to disable and enable a lan connection in windows7, but its not the same in windows xp. Once you disable the LAN the process gets off the taskbar. Then you have to go all the way to the Network Connections folder and enable it. An easy way would be to make a short-cut of it from the Network Connections folder onto your desktop, by right clicking and creating a shortcut. Now rename it the way you like. Now enable/disable is as simple as right clicking that icon and clicking on Enable/Disable. 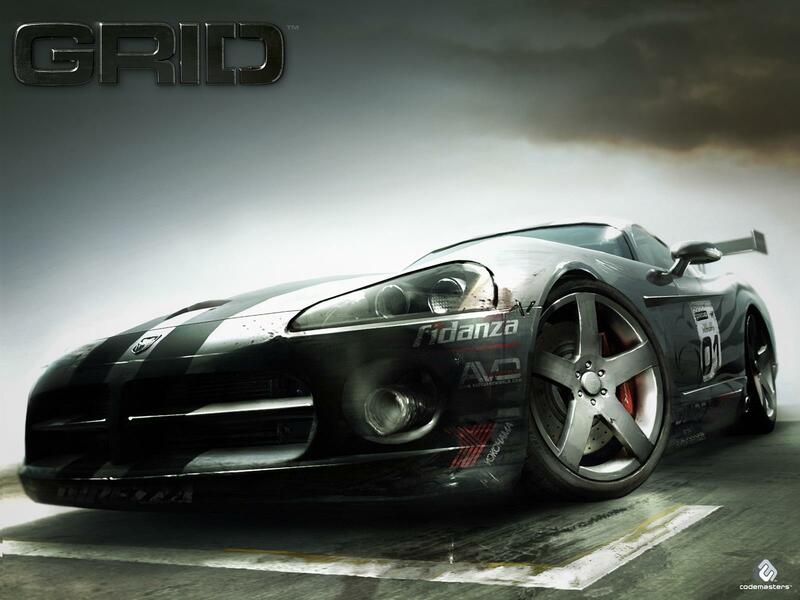 I recently bought this game called Racedriver Grid from codemasters and its amazing. I love the game so much. The damage .. The sensitivity of the controls all that was amazing. If you haven’t tried it yet and if you love racing. Quit playing that NFS you are playin now and go for this one. Give it a try..
Ive installed the game in my laptop which is running on windows 7 basic on an intel i5 processor, and ive installed this on my Desktop which is running on Windows Xp Sp3 running on an amd athlon. It seemed to work fine on my Laptop and my desktop but later on the wouldnt start. Every time i start the game on my xp system. The opening screen would pop up and I would get an error report. The usual windows error report saying “Send/Don’t send”. I reinstalled it several times. Didn’t work. Although it takes a LOT of time. I installed in some other folder rather than the default folder. Didn’t work. Although, one person from one of the forums said it worked for him so you might want to try that out. I restarted my system. No effect. I disabled the lan. Started the game. It ran perfectly. ! … I would suggest you do this first rather than all the other stuff. This consumes less time and you can cross out if it doesn’t work and move on to the other stuff.. This worked for me… But if it still doesnt work for you. Try right clicking the exe file and running as the admin. It has worked for some people. Wait 15 days and run the game again . Even this has worked for some people. Although i have no clue or logical explanation as to how this could work but it did and I believe it because it has happened to me sometimes. Not with this particular piece of software but with something else that i dont remember. It might be irritating to Enable/Disable LAN in Win xp systems. Here’s a quick tip about how to Enable and Disable and How you can do it easily. Its pretty obvious, but then. Just take a look if you want to. Click here!